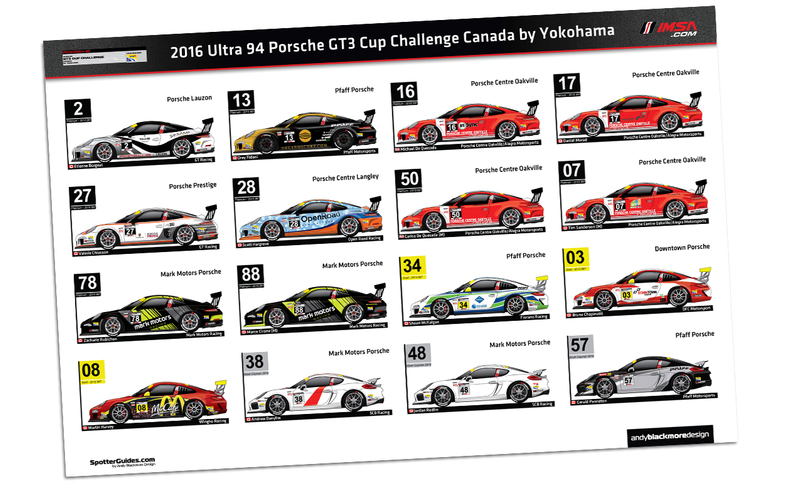 Welcome to a new addition to the Spotter Guide series, the 2016 Ultra 94 Porsche GT3 Cup Challenge Canada by Yokohama. 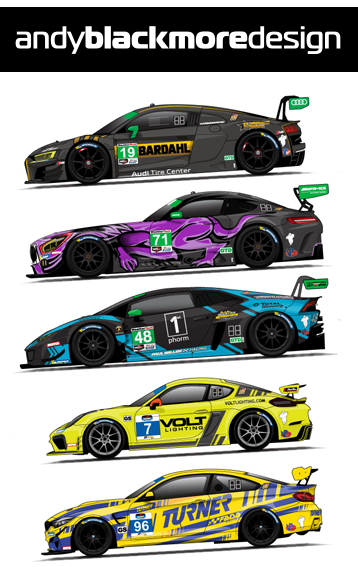 Commissioned by IMSA, this along with the GT3 Cup USA Spotter Guide is one of four support Spotter Guides to be released over the coming months. The Porsche GT3 Cup Challenge Canada Spotter Guide is produced by Andy Blackmore Design with assistance from IMSA.